WORKERS’ Compensation is a HUGE PROBLEM in USA, Canada, UK, Australia & beyond.. The Australians are somewhat organized…. Canadian are vocal…. Americans……not so much. So many sad, SOB stories in Workers Compensation, that non-injured people so often fail to believe, huh? Well, as you know, WITHOUT A BLOG AND A GROWING DATABASE, INJURED WORKERS ARE UNARMED. UNPROTECTED AND SOL IN THE GLOBAL WAR ON WORKERS. It’s time for Injured Workers Uniting – Silent No More because SOMETHING IS TERRIBLY WRONG WITH WORKERS’ COMPENSATION, ISN’T IT? Any time, anywhere and Injured Worker reaches out for help, I want the hand of IDWA to be there, and for that, I am responsible. Contact info is at the end of the brief video… I’ll do what I can to reach out to Rowmen. 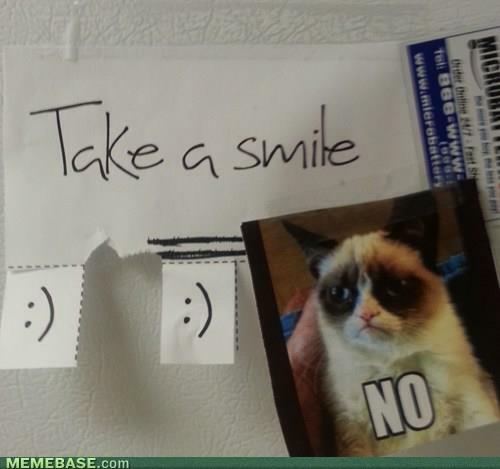 Perhaps you will, too? 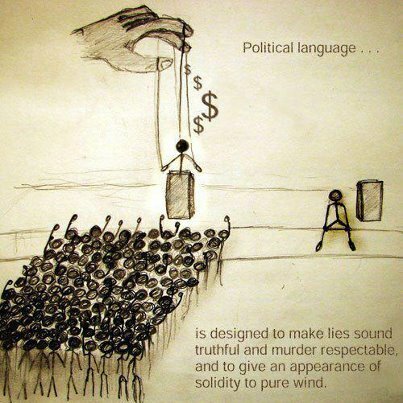 NOBODY WANTS TO BELIEVE THIS KRAP HAPPENS IN THEIR OWN COUNTRY….. UNDERSTAND THAT, AND CONDUCT YOURSELVES ACCORDINGLY. In the USA we have NAIDW.org – a great online resource. Give Jon A. Arbay a shout-out and see if they need any volunteers to help with anything and everything… Maybe Jon will address this group in a FB Note or blog and tell us how we can support them supporting American Injured Workers. I think he’s still here in this group too, unless we ran him off. Who will find out about a similar group in Canada and bring the info back to this group? If you are a part of these organizations, please check with your members and bring a post here to this group, identify what sort of help you need, and we’ll see what we can do. I reached out to some other virtual groups recently; we’ll see how they respond… I’m pretty hopeful that once they grasp the atrocities being committed, they will want to lend a hand. 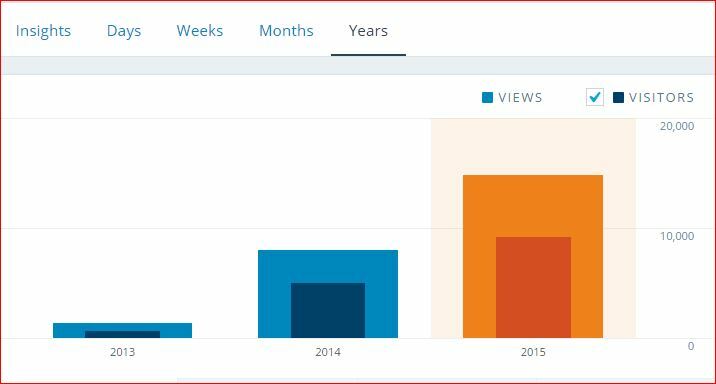 If any of you have made any progress with establishing your own blog, let me know. Send me the link with WORKCOMP BLOG somewhere in the subject line at WorkCompLinda@gmail.com and start building your email list. We need “units of service in every state—people to people.” I would imagine the same is required in Canada… province to province? 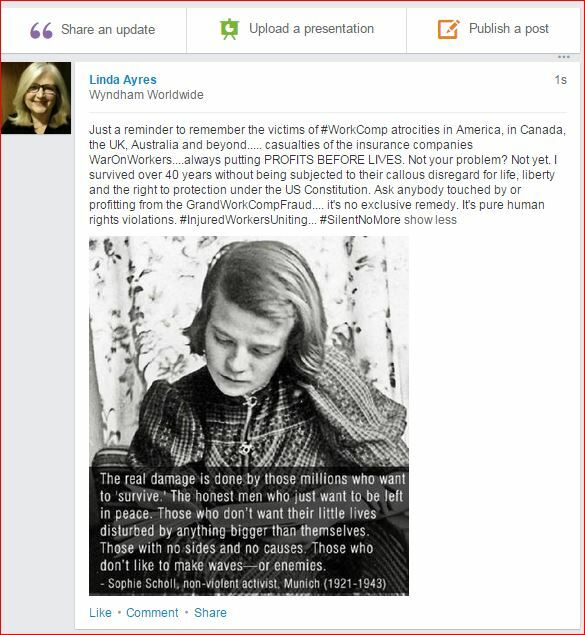 In USA, Injured Workers did not fight against a known industry Workers’ Compensation propaganda blitz that was told about in February, and launched in May, publicly, on their blogs. If you don’t follow industry blogs, and don’t have your own blog, well, you know the ol’ saying… WITHOUT A BLOG….. INJURED WORKERS ARE UNARMED AND UNPROTECTED AND SOL. 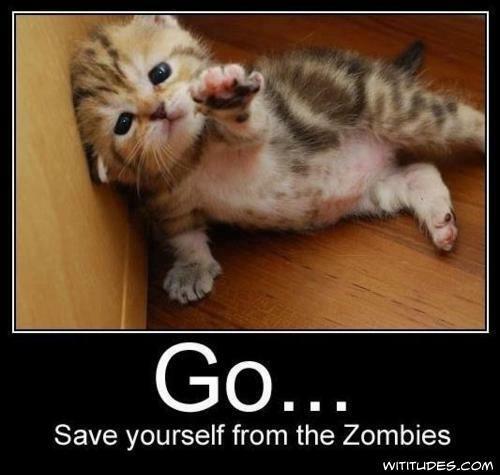 Anybody there with an interest in saving lives from the WorkComp extermination machinery with some extra blogging etc…#OccupyVirtually….. as if lives depend on it?? There is one active Injured Worker blogger in the USA, to the best of my knowledge. 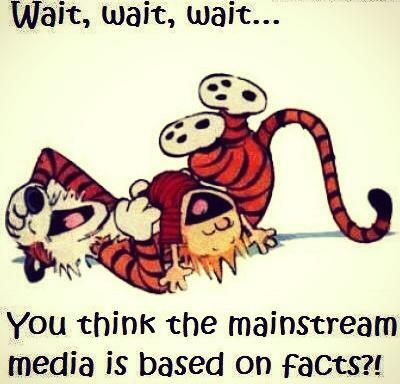 The US Work Comp industry has 22 bloggers shaping public opinion with massive amounts of disinformation. 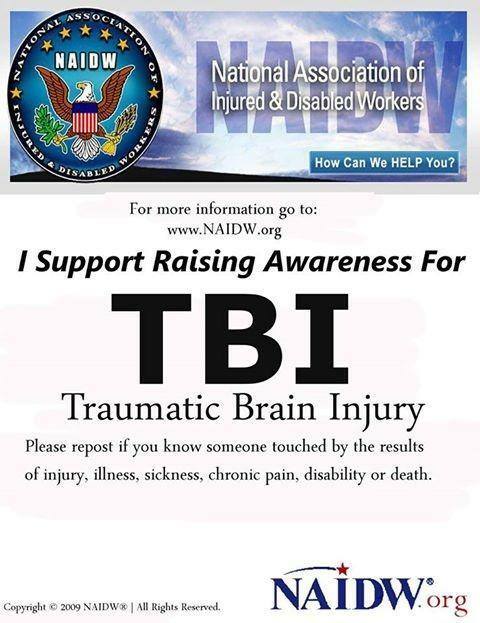 There are a handful of Injured Worker’s with Facebook pages and groups. A couple posters on LinkedIn. Any other BLOGGERS you have discovered? I am working on assembling some anonymous injured worker stories (for the protection of the injured workers from retaliation) and I’m working on creating an eCourse to illustrate how to escape the system and regain/reclaim civil and human rights. The Australians in the above video seem to have a model that works. Any thoughts? PS. #DodgeTheRads! It’s dangerous out there! CESIUM-137 ATTACKS THE HEART – HOW’S YOUR TICKER TODAY? If you skipped physics, just ponder on ‘COMPROMISED IMMUNE SYSTEMS’ AND HEART ATTACKS … and then cancers and worse… massives die-offs of smaller species are in progress, and who doesn’t know someone who has suddenly and mysteriously and puzzlingling ‘dropped dead’? #DodgeTheRads – Bob Nichols Said WHAT Else? MyWorkCompCoach.com – WE ALL HAVE A STORY TO TELL! Scroll here for all the AAWCGT blogs or pick your favorite to re-read & share. 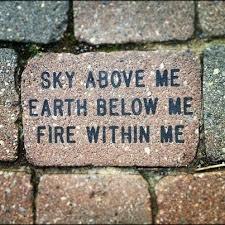 MY WORK COMP COACH – What’s YOUR Work Comp Story? WorkComp and Cans of Worms – For the National Discussions Agenda – Organize the Warblers! Bootcamp to focus on eBooks and eCourses for the ‘Infantry’ fighting the War on Workers? IMAGINE THAT! I BLOG, THEREFORE I AM A WORKCOMP SURVIVOR! BE ONE TOO! Dodge The Rads! It’s Dangerous Out There! Talk about an IRRADIATED STATE! OH CALIFORNIA! Keep Mum About Your Job Injuries? Die Quietly and Save Insurance Companies Some Money? If you’re nuked on the job–double Mum? Comment to yesterday’s post worth further discussion, wouldn’t you agree? It’s a nice page on fb, check it out! Share it with your friends and neighbors. Thank you. For minor injuries, CA Dept of Rehab could and probably does help a few injured workers. So many California injured workers are denied medical care so long that injuries are exacerbated, causing permanent disabilities and work becomes an impossibility. The Salvation Army is also kind when benefits are illegally interrupted and Injured Workers are left destitute. They can provide temporary assistance with utilities and directions to food banks. Legal Aid can also help unrepresented injured workers to a small degree, with State issues. CA Dept of Rehab will not help those impacted by #Romano-Syndrome. Nothing seems to be able to help those impacted by #RomanoSyndrome. Did you also read about the LA Chemical and Nuclear event in progress in YOUR RADIATION THIS WEEK included in the blog? Do you also wonder how many people really grasp THOSE HEALTH DANGERS! Have a wonderful radioactive weekend and remember to Dodge the Rads, it’s dangerous out there! Copyright by Bob Nichols @ 2016. Reproduce and distribute, give full attribution to Bob Nichols and Veterans Today. Read the entire article here. DO YOUR OWN RESEARCH. DRAW YOUR OWN CONCLUSIONS. Talk about an IRRADIATED STATE! CA has VERY serious nuclear problems, with it’s nuclear workers and the dangerous to the unsuspecting public. Have you seen this McClathcyDC report? 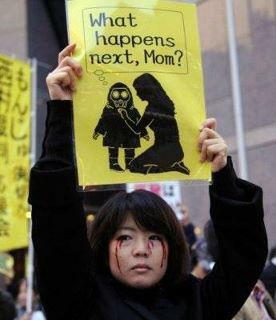 McClatchy Report on Nuked Workers KEEP MUM ABOUT YOUR JOB? The people in those videos won’t be returning to work! Many WorkComp survivors can’t get out of bed, and few leave their homes, unless lost by foreclosure! Apparently Congress is looking into matters further. It’s about time, huh? The Congressional head count is nearing 20 now! Hooray! IF Charles Romano had had, perhaps, stronger legal representation, he might still be alive and returned to his job at Ralph’s. I know more cases on the verge of similar consequences, NATIONALLY. It is understood that a legal association attempted to hold the adjuster and the insurance carrier in the Romano case accountable for the death of Charles Romano, unsuccessfully. One attorney, who asked not to be named, told me that the post-death failed legal effort gave the ‘green light’ to the industry to deny medical care to all injured workers. Quite the win for the industry because the risk of a $100,000 fine for a death consequence is more cost effective, in many cases, than providing care and treatment. Quite the loss for the working class and for humanity itself. Such atrocities are history repeating itself. Boxcars full of people were exterminated in WW2 and few raised their voices or hands to help. Church folks were said to sing louder as the boxcars of wailing prisoners rolled by enroute to the death kamps. Injured Workers often feel like such POW’s, with no place to turn for help. So, if one Super Lawyer said that about the Romano case, how many others know or believe it to be true? More importantly, how many insurance industry carrier believe it, and profit grandly by it? The results in CA speak for themselves, although DIR paints a much prettier picture of it’s veneer of successes. We need Injured Disabled Workers Associations, not unlike labor unions, but of The People, By The People, and For The People, in every state but with a focus to help Injured Workers maneuver and survive workers compensation as practiced today. Many injured workers retain and dismiss 4 or 5 or even more attorneys, and end up self-representing in order to reach resolutions in order to ESCAPE WORKERS COMPENSATION. Many doctors and lawyers who left the work field will quietly tell any injured worker friend, ‘GET OUT OF THE SYSTEM AS SOON AS POSSIBLE BY ANY MEANS NECESSARY TO SAVE YOUR LIFE!”. How many cases roll on for years and years…. Even the attorney crowd must grow weary of the small ‘commissions’ made on their old cases, where nobody but the insurance company is left whole. Many injured workers are directed to “Social Services” welfare, because insurance carriers refuse to pay TTD benefits and SSA can take years. Most injured workers, so it seems, would return to work within weeks or months IF THERE WAS some process to get immediate reasonable and necessary medical care. Till we have a system like that, the WarOnWorkers will continue to cost lives of Americans across the nation, while the industry reaps grand profits. Organizing injured workers into teams of bloggers, maximizing the use of the internet to let the truth be told, seems to be an important action item. 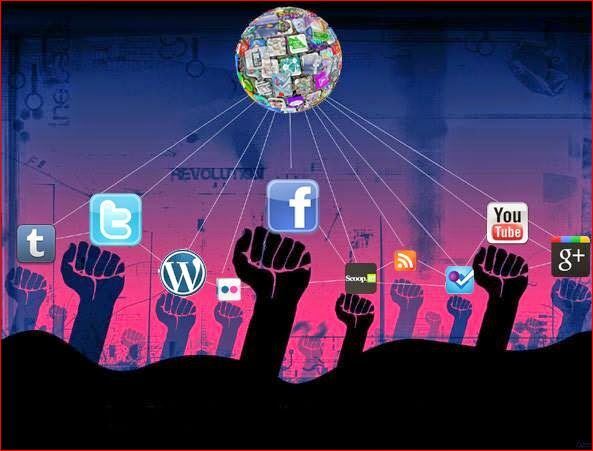 Forging links of communications and goodwill between WorkComp Industry players and Injured Workers, could serve to bridge some communication gaps, and Social Media Groups can fill that need…. sort of like Pen-Pals that keep Convicts connected to the world, e-pals could facilitate constructive change through sharing of information with influencers. #InjuredWorkers must not remain silent. Are YOU an Injured Worker With A WorkComp Story That Needs to Be Told? Could you be next? What’s YOUR Story and blog link? We say THANK YOU as Injured Worker, James D. Tangorre honorably shares in ‘fighting the good fight’ in communications to political representatives and members of the Workers’ Compensation communities in his January 7, 2016 letter and on-going blogs and videos. We say THANK YOU as Injured Worker Michael DiPippo bears his heart and soul about his tragic story in order to save lives of others as well. Once a First Responder, Always a First Responder! WORK COMP IS AN EPIC FAIL ……….. If you are not part of the solution, you are part of the problem and will be held accountable…. It is time to RESTORE CIVIL RIGHTS AND HUMAN RIGHTS TO INJURED WORKERS NOW. “….But not for the WC system failure, Mr. Di Pippo would not have lost his right leg with no possibility of receiving a prosthetic. I will not turn my back on any fellow American whatsoever. 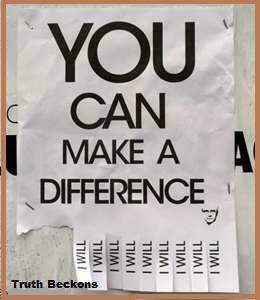 You, Senator, can make the difference… are you willing to make the stand and help? 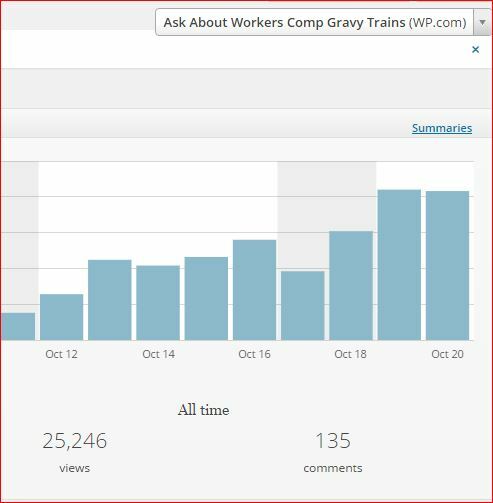 WHO ELSE IS BLOGGING ABOUT WORKCOMP IN AMERICA AND ELSEWHERE? Here are some resources. Use it. Add to it! BLOG ON! AllReactorsLeakAllTheTime.com AskAboutFukushimaNow.com Connect The Dots! The Workers’ Comp Industrial Complex! Stop! Hey! What’s That Sound? Note the political representatives and others who have gone on record as being quite concerned about Workers Compensation in America. Many WorkCompsters call such stories ‘hyperbole’…. Many Many Injured Workers know the extreme harsh realities of the atroacities of America’s Workers Compensation systems. 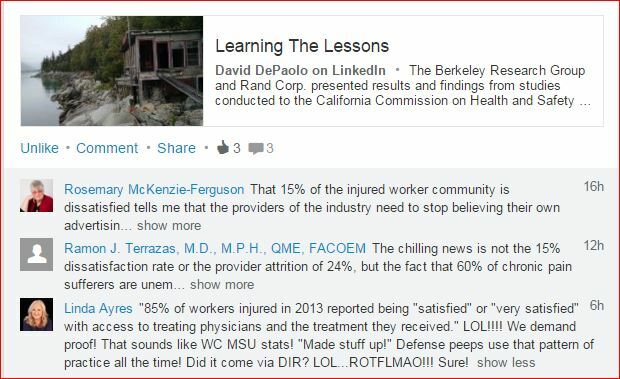 “WorkComp is a slow kill – Rads are a sure kill.” See who else is demanding investigations about nuclear programs as well…. The similarities? Connect the dots! BOTH INDUSTRIES, WORK COMP AND NUCLEAR, Operate from the PlayBook of “PROFITS BEFORE LIVES”…. Who else isn’t doing their job? Who has broken their Oath? How to defend against such psychopathy? O SAY CAN YOU READ AMERICA? 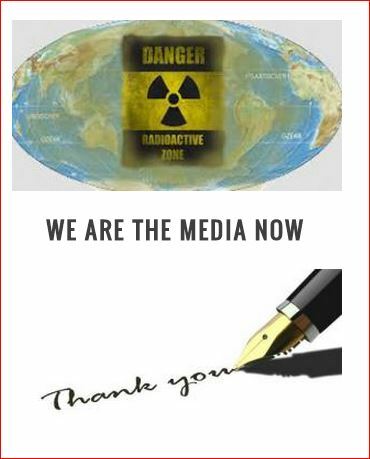 –> Your Radiation This Week Google & Share It and #DodgeTheRads. Most injured workers get at least one blessing….they are forced to #ShelterInPlace! #DodgeTheRads – It’s dangerous out there! 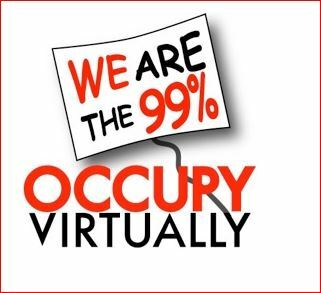 #OccupyVirtually – There’s Something In The Air!